Stunning Tridel Built Verve Building. 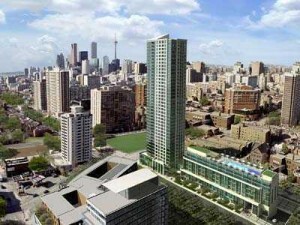 Luxurious Amenities, Incredible Unit With Sweeping Unobstructed Views Of The City! Absolutely Move-In Condition! Shows Pride Of Ownership! Seller Has Installed Extra Shelving In Closets As Well As Soft Close Hinges In Kitchen And Bathroom Cabinetry. Pristine Engineered Hardwood Flooring. A Must See Unit!